Breakout single “Nothing To Do” blasted the Doogs into the ears of fans Australia wide. Receiving major airplay from triple j and triple j unearthed - including being invited to play Groovin The Moo in Bunbury as well as being picked as unearthed Feature Artist that month - the break out single gained comparisons to Skegss, Wavves, Hockey Dad, and Dune Rats, and also led them to play some of their biggest shows so far. The success of “Nothing To Do” packed out the rooms of their first ever East Coast tour, playing to hundreds of kids in Brisbane, Melbourne, Gold Coast, Adelaide, Wollongong, and Perth, and a mainstage performance at BIGSOUND Festival. Next track "Want That" Premiered on triple j's 2018 with Richard Kingsmill, the laid-back introspective punk-rock jam is a melodic ode to putting things off. The boys loaded the van and took the track around the country for their fourth lap of the year – this time selling out every show but one! 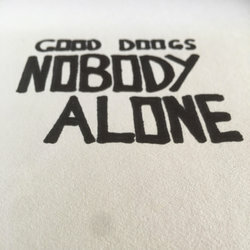 Now to kick off 2019 we have the boys dropping their new song “Nobody/Alone” which already has everyone licking their lips for some more surf rock fun. a jangly surf punk bop about anxiety and how it can overwhelm you. Sometimes you don’t even want to leave the house.